An exciting milestone for Whānau Ora Initiative ‘Koha Kai’ has been realised, as their dream of opening their own purpose-built kai trailer came to fruition. 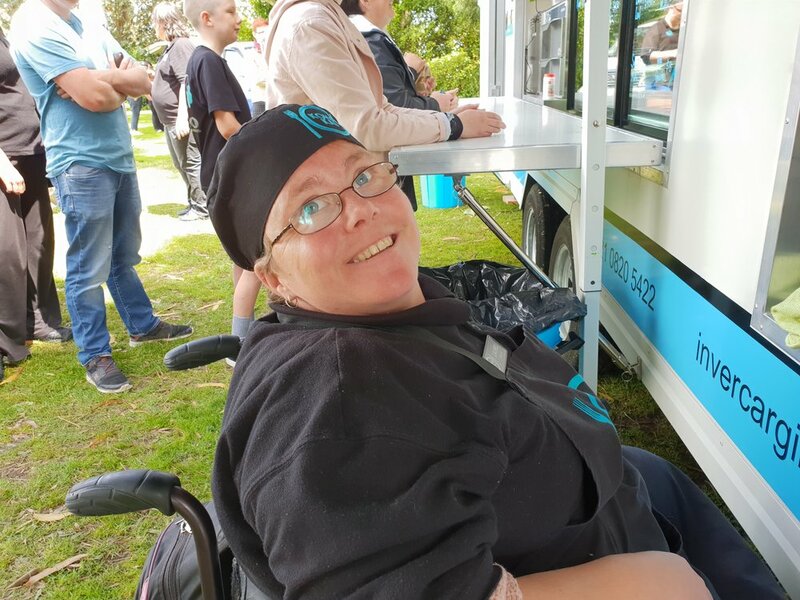 The trailer is designed to enable Koha Kai trainees, who live with disabilities to be able to operate, and serve up top class food and beverage to their community. Based in Invercargill, Koha Kai, led by the visionary Janice Lee, is focused on creating social transformation within the disability sector through meaningful employment and education leading to nationally recognised qualifications. Their ‘Lunches in Schools’ initiative has enabled them to establish new business relationships, access pathways and infuse te reo rangatira throughout their work environment. “Koha Kai provides trainees purpose, life skills and social skills that enable them to live truly valued and integrated and independent lives as fully contributing members of our community which contribute to improve the health and well-being of people with disabilities” says Janice. Koha Kai has been able to partner with primary schools who give the use of their kitchens for trainees to cook in, in exchange for a healthy lunch option sold to students at an affordable price. Koha Kai has also expanded its operations to include growing their own produce and selling meals to the wider community. “We developed a Whānau Ora initiative ‘Lunches in Schools’ because it also addresses child poverty and child hunger, pertinent after rising living costs hit the Southland city harder than usual late last year”. As part of the ‘Lunches in Schools’ initiative, Koha Kai has also developed their own maara kai / community garden to reduce costs while at the same time build the resilience, capability and confidence of whānau. Whānau sharing of garden knowledge is rejuvenating and rewarding, both mentally and physically. The charitable side of Koha Kai means that people can donate funds to support ‘Lunches in Schools’ and those funds are used to ensure the children most in need can access a free lunch during school time. Janice Lee, of Ngai Tahu and Ngāti Porou descent, told us that her Ngai Tahu side sparks her imagination and her Ngāti Porou gives her the tenacity and perseverance to turn the dreams into reality. Approximately sixty whānau turned out at the opening of the kai trailer last week. It was officially launched jointly by the Regional Commissioner of MSD, Mr Jason Tibble, along with the recently knighted Mayor of Invercargill, Sir Tim Shadbolt who proudly boasted of the awesome contribution that Koha Kai makes to the Southland. He also talked about the collaborative spirit, with many organisations working together to create the trailer, Southland style. Turning whānau dreams and aspirations into reality is the mission of Te Pūtahitanga o Te Waipounamu who work on behalf of the nine iwi of Te Waipounamu. Pouarahi / Chief Executive of Te Pūtahitanga o Te Waipounamu, Helen Leahy said “Opening the kai trailer is a momentous occasion for Koha Kai – and indeed for us”. “Starting out as a Whānau Ora initiative seed funded by Te Pūtahitanga, we have watched as the incredible leadership of Janice Lee has enabled Koha Kai to build partnerships, gain funding support for their charity and get the whole community to support their vision” says Ms Leahy. “It’s all about whānau being equipped to flourish – to live their best life. What could be better than that?”.